Ritchay Funeral Home has been serving Wisconsin Rapids and Nekoosa area families since 1957. We are honored to be a part of the rich history of this community and plan to be a part of it for many years to come. We are truly thankful for the trust placed in us by families at their time of need. We have always strived to treat families with compassion and provide a service commensurate with the trust given us. As the oldest single family owned funeral home in the area, we have the experience and understanding to give you and your family the type of service you expect and desire. Ritchay Funeral Home was founded by John A. Ritchay in 1957 when he purchased the former Krohn and Berard Funeral Home at 240 First Avenue South. 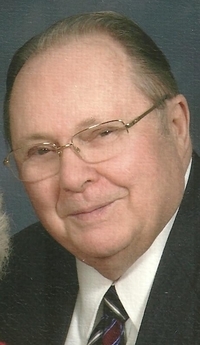 John, a 1955 graduate of the Wisconsin Institute of Mortuary Science, operated the funeral home as a dedicated sole proprietor until 1980 when he was joined by son, John Jr., and in 1985 by son, Michael. In 1990, Ritchay Funeral Home relocated to a new facility at 1950 - 12th Street, South. In 2005, John Ritchay was honored by the Wisconsin Funeral Directors Association for his 50 years of service as a licensed funeral director. The Ritchays purchased the former Feldner Funeral Home at 403 Prospect Avenue, Nekoosa, in 1981, from longtime owners, Vernon and Thomas Feldner. In 2003, Feldner/Ritchay Funeral Home relocated to its' present facility at 615 First Street. John Jr. and Mike established RB Cremation Services in 2006 at the Nekoosa funeral home. The Ritchays are proud to have served the Nekoosa area for over 30 years.